For all the draw of Seoul’s pace and adrenaline, nothing beats the feeling when your train finally pulls out of an inner city station on the way to the countryside. The 2012 launch of the ITX express service to Chuncheon, in mountainous Gangwon-do Province east of Seoul, put another part of the provinces within easy reach. Just 40 minutes from the capital’s Cheongnyangni Station, on the Chuncheon line, lies Gapyeong, a small town by the Bukhangang River famous for pine nuts and the annual Jarasum International Jazz Festival. 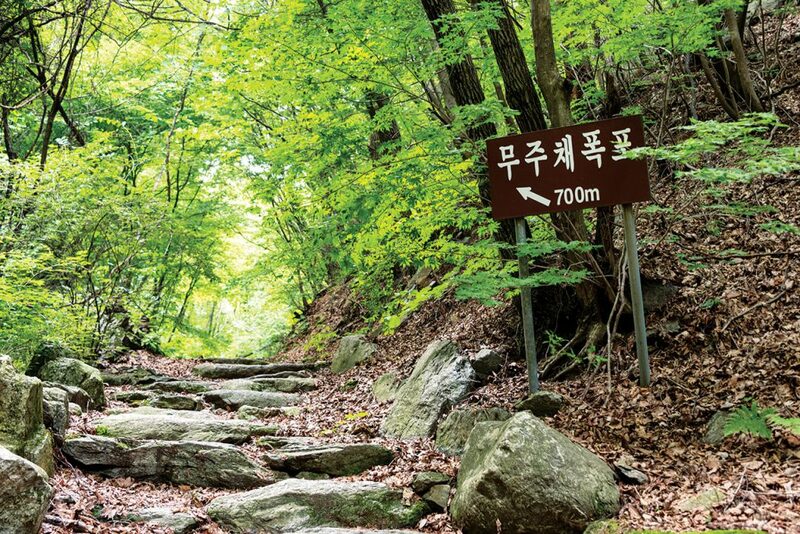 Gapyeong is also a gateway to some stunning mountain walks, where streams plunge down between huge boulders on forested hillsides, offering the ideal chance to escape the Seoul summer, clear your head and cool off in a rock pool. One weekend in mid-July, the mountains north of Gapyeong are shrouded in low cloud. As the bus winds its way up from Gapyeong Terminal in the sleepy county capital, glimpses of well-tended vegetable plots and monsoon flowers flash through the steamed-up windows, along with restaurant signs offering anything and everything containing pine nuts. After about an hour, the bus wheezes to a standstill at Yongsudong, the last stop on the route. At Yongsudong, crowds of middle-aged Koreans in colorful hiking gear mill around waiting for their buses. Many belong to sanakhoe, or hiking clubs, and have obviously just enjoyed a good meal and drink after coming down out of the clouds, their faces red no longer from exercise but from imbibing plenty of pine nut makgeolli. From Yongsudong, a small road leads east into Jomurak Valley by the side of a mountain stream. Guesthouses and restaurants line the road at first, their owners clearing tables laden with the remains of hiking club banquets. Chained dogs pose on their kennel roofs, making defensive noises. The road quickly turns to an unsealed path and enters a forest full of birdsong and occasional chipmunks, following the stream all the way. 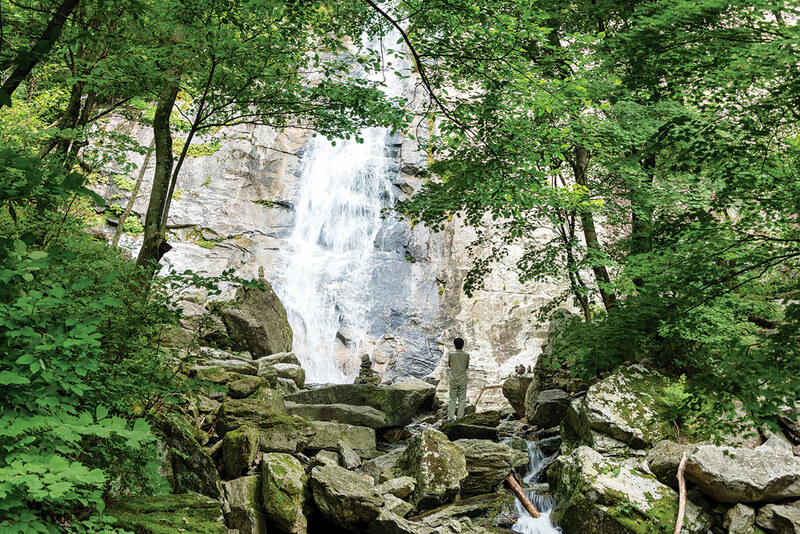 A mile or so further up is Bonghodong Waterfall, a picturesque spot where the water tumbles down a particularly large rock face. By now, nature is undisturbed and the water is crystal clear. If you fancy a longer hike, carry on another couple of miles to the summit of Mt. Seongnyongsan. If waterfall gazing is your priority, head back down the valley to Yongsudong. Where Jomurak Valley meets the main road back at Yongsudong, turn right and head north. This two-mile walk is not particularly glamorous as you’ll need to hug the side of the road and look out for traffic. It’s scenic, though, with Gapyeongcheon Stream flowing below the road all the way. After a mile or so, signs will tell you that you’re crossing the 38th parallel, once the border between North and South Korea. When the Korean War armistice was signed in 1953, territorial gains and losses by each side meant that the border ended up further south in the western part of the peninsula, and further north here in the east. A little beyond the 38th parallel, on the right, a sign indicates the presence of a sinang yujeokji, a site where communities of Koreans lived in dugout shelters during the Japanese colonial period to escape forced worship at Shinto shrines, compulsory adoption of Japanese names, religious persecution and conscription. Up here in the mountains, they made charcoal and cut sleepers for the new Seoul-Chuncheon railway and observed their own religions in freedom, remaining until after national liberation in 1945. Half a mile more of walking takes you to Jeongmok Yongso, a blue pool fed by a small waterfall. “Yongso” means “dragon pond”; the spot is so named because of a legend that tells how a dragon, ascending to Heaven, was spotted by a pregnant woman and fell back to earth, creating the pool (many Korean legends and folktales feature dragons living below pools and rivers). 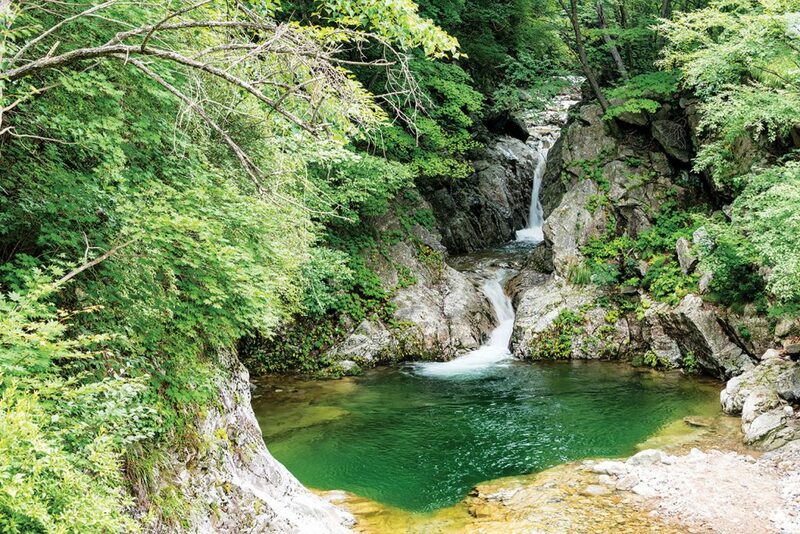 Cross the rainbow bridge that offers the best views of Jeongmok Yongso and your long march up the road will be rewarded with a path that meanders though beautiful woodland, following yet another stream, to Mujuchae Waterfall. In pre-modern times, this utterly charming spot is said to have been a favorite place for military officers to drink, dance around and eat wild vegetables, presumably due to the unavailability of fried chicken. 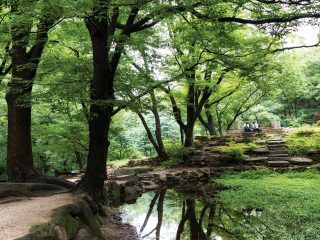 Whether you arrive there sober or inebriated, you’ll be glad to find such a cool, quiet spot within easy reach of Seoul. There’s plenty more hiking up various nearby peaks if you’re not ready to come down from the mountains yet. Otherwise, head back down to Yongsudong and catch the bus towards town, where more attractions await. Ihwawon “butterfly story” is a complex of large greenhouses containing various trees and plants, saccharine piano music and, of course, butterflies. Don’t expect swarms of them, though: they keep a low profile and you might need to sit in one spot for a while to get a close encounter. If you have curious kids in tow, they might appreciate a romp around Ihwawon for a while. 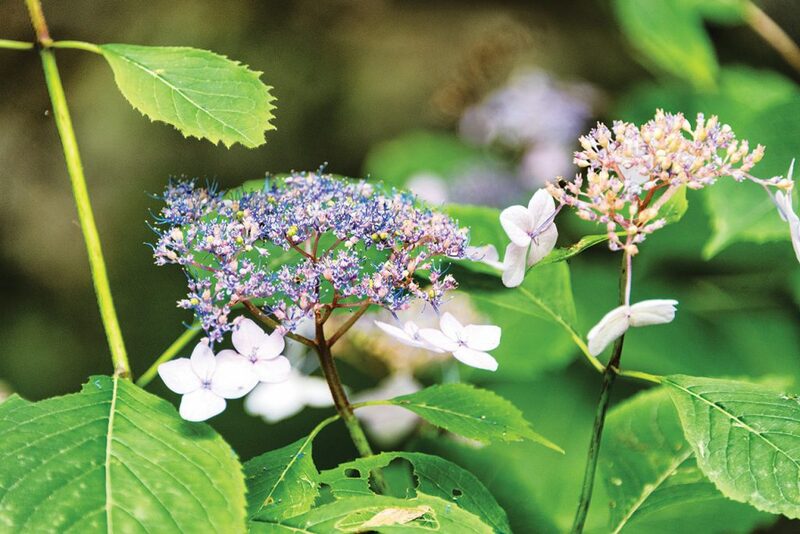 It’s located in the camping ground by the river on the way from Gapyeong Station into town. 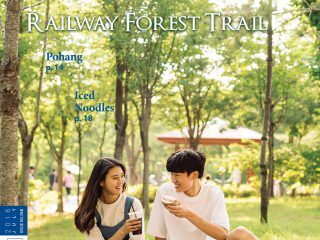 Gapyeong Rail Park offers rail bike tours along a four-kilometer stretch of the old railway, from downtown Gapyeong to Gyeonggang Station on a course that takes you on a high viaduct over the river and then along its bank. After a quick rest at Gyeonggang Station, it’s another four kilometers back again. Hyeonam Agricultural Artifact Museum, housed in a local middle school, is a collection of some 200 traditional agricultural implements, plus some recreations of rural houses. Entry is free, so if you’re interested in pre-modern farming in Korea jump on any bus heading towards Buk-myeon and get off at Gapyeong Buk Junghakgyo. Unlike most museums, this one is closed on Sundays and open Monday to Saturday. A small contemporary art museum located north of Gapyeong accessible by bus (33-1, 33-38, 50-1 or 50-3; get off at Goam Ipgu). If you’re into modern art, drop in here to look around this collection, housed in a striking neo-traditional building topped by a wooden pavilion. The entrance fee is KRW 4,000 for adults and it’s closed every Monday. In pre-modern times, Mujuchae Waterfall was a favorite place for military officers to drink, dance around and eat wild vegetables. STAY> From Seoul, most people visit Gapyeong as a day trip, but if you’d like to stay, the town has lots of pension houses. There are several nice pension houses in Yongsudong, in fact. For something a bit different, however, try the luxury camping ground Moa Glamping (www.moaglamping.com). EAT> Yongsudong has several rustic eateries serving makgeolli, fried pancakes, noodles and other local favorites. Gapyeong is famous for its pine nuts, or jat., which are used to make makgeolli and other dishes. GO> To reach Gapyeong, take the ITX express from Seoul’s Cheongnyangni Station (KRW 4,000, departs roughly every hour). The journey lasts just 40 minutes. Alternatively, take the Gyeongchun Line, part of Seoul’s extended metro network, from Sangbong Station. This journey takes close to one hour and costs around KRW 2,150 using a transport card. From Gapyeong Station, take Bus 33-4 to Yongsudong, its last stop. From Yongsudong, its a 3km hike to Jeongmok Yongso falls.